Deidre Ann Hall (born October 31, 1947 in Milwaukee, Wisconsin, USA) is an American actress and producer. She has been featured in many television soap opera shows. 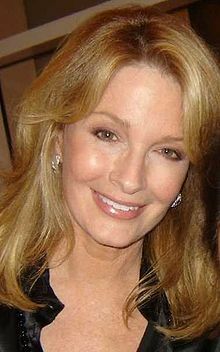 She played "Dr. Marlena Evans" in Days of Our Lives for more than 30 years. ↑ "Deidre Hall". TV Guide. Retrieved 21 February 2016. ↑ "Deidre Hall Marlena Evans". NBC Universal. Retrieved 21 February 2016. This page was last changed on 7 May 2018, at 05:05.